Fast track your dancing in 2.5hrs! A 2.5 hr Bachata Bootcamp for Intermediate level dancers. Suitable for returning students and those that have already mastered the basics for Bachata. Expand on your Bachata dance skills and build your dance confidence. This bootcamp covers footwork variations, body movement, lead & follow techniques and smooth flowing turn patterns for social dancing. 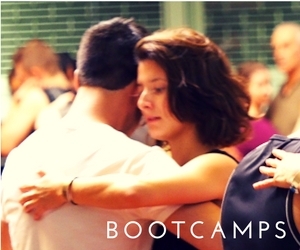 A 2.5 hr Bachata Bootcamp for Beginner dancers, those with little or no previous experience. Learn the important fundamentals of the beautiful dance style of Bachata. 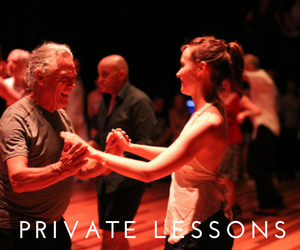 Build your confidence for the dance floors and have fun while you learn! This bootcamp covers rhythm, movement, basic steps, lead & follow techniques and simple turn patterns for social dancing. Learn the fundamentals of Cuban Salsa, a grounded, earthy style of Salsa which originates in Cuba. This style differs from the Linear styles as it is danced Circular. This is a playful and fluid style of dance. In this 1.5hr workshop we will cover rhythm, timing, posture, hold, basic steps and body movement. We will also teach you some elegant turn patterns for social dancing. Picante Productions is a boutique company that offers private Latin dance lessons, classes, workshops and bootcamps. We are specialists within the Latin music and dance industry with more than 20 years of experience. We also produce international and national Latin dance festivals and events. Learn from experts who are passionate about the work they do or attend an event that will leave you with lasting memories! The 12th Annual Sydney International Bachata will be held from 25th – 28th April 2019. This festival comprises 4 Nights of Parties with world-class performances & a Bachata concert with a famous singer on the main night. The days host more then 40 dance workshops for beginners to experienced dancers plus master workshops, there are also stalls with Latin dance merchandise plus food and drink. The 14th Annual Byron Latin Fiesta will be held from 1st – 3rd November 2019 in beautiful Byron Bay. Plan ahead so that you can join the fun with us. This event is one of the longest running and most popular Latin dance events in Australia. 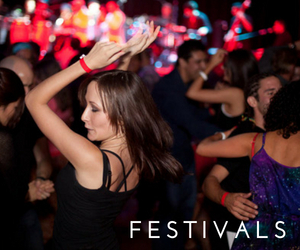 Enjoy 4 nights of parties with live bands, Latin DJs, performances and social dancing plus 2 days of Latin dance workshops, master classes and a talk series! We create, develop & deliver quality events specialising in the Latin dance and entertainment industry. We manage Performers, Live Bands, DJs and associated talent to ensure your event sparkles and is delivered to perfection.